Chromium is an essential trace mineral that is known to enhance the actions of insulin, a peptide that is critical to the metabolism and storage of carbohydrate, fat and protein in the body. Adequate intake of Chromium is necessary for maintaining healthy glucose metabolism. 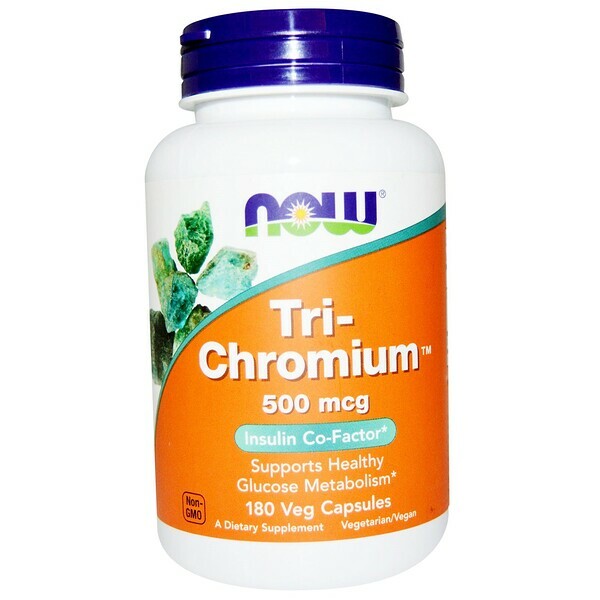 NOW Tri-Chromium features three well-known and studied forms of Chromium to maximize its absorption. Cinnamon has been included due to its historical use for the promotion of healthy digestion and proper metabolic function. Caution: For adults only. Consult physician if pregnant/nursing, taking medication (especially diabetes medications), or have a medical condition (especially diabetes or hypoglycemia). 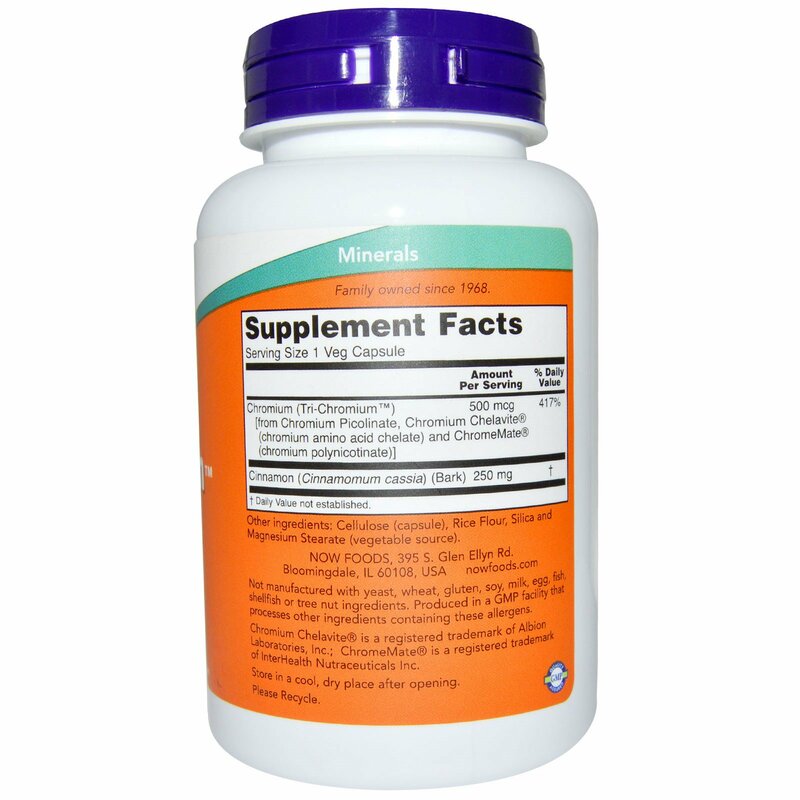 This product should be taken at least 3-4 hours before or 1 hour after taking thyroid medications. Keep out of reach of children. Do not eat freshness packets.